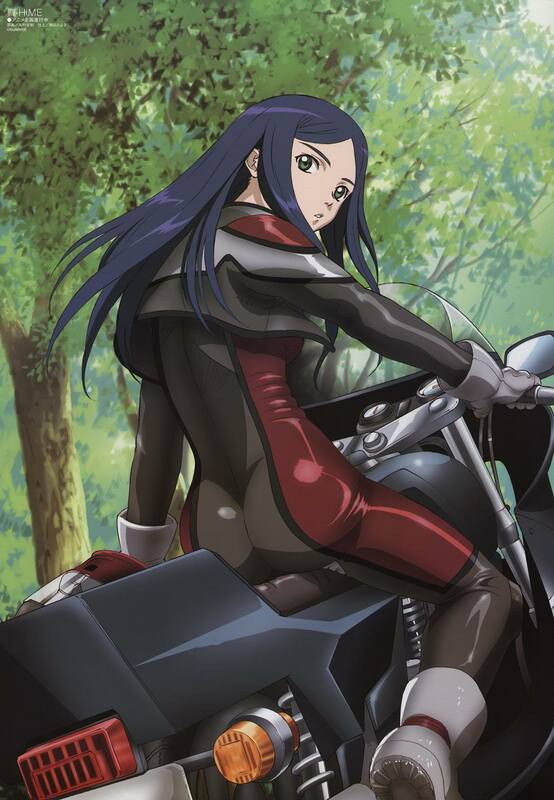 Natsuki Kuga is a strong-willed and forceful individual known for being a truant, she rides a fictional Ducati model sportsbike called Ducati DRIII. Her only friend at the start of the series is Shizuru Fujino; she prefers to work alone, but over the course of the series warms up to Mai Tokiha. Natsuki also works with Kaiji Sakomizu and Yamada to carry out her missions during the course of the series. Although in the same level as Mai, she explains that she is in fact a year older because she stayed away from school for a year after accident, making her 17 at the end of the series. Natsuki makes her first appearance in episode 1 as a mysterious figure chasing after Mikoto Minagi, who is picked up by a ferry that Mai Tokiha is riding. After a battle, Natsuki warns Mikoto and Mai against going to the academy, though her warning goes unheeded. Initially, Natsuki doesn't want to work with Mikoto or Mai, but the tension between them is broken in episode 4 when Mai helps Natsuki with her lingerie crisis. As the series progresses and the three fight off the various Orphans at the academy, they become friends. However, she takes an immediate disliking to Nao Yuuki when the two meet in episode 7. Natsuki's purpose for fighting is revealed in episode 9 when the three girls investigate an old First District lab. Natsuki tells the others that she wants revenge on the First District for causing the death of her mother, a researcher for the First District. 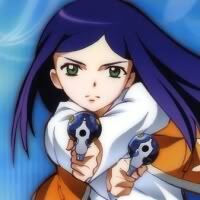 Natsuki rescues Akane Higurashi from a privately controlled hospital in episode 13; Akane later reveals to Natsuki in episode 17 the link between a Child and the HiME's most important person. 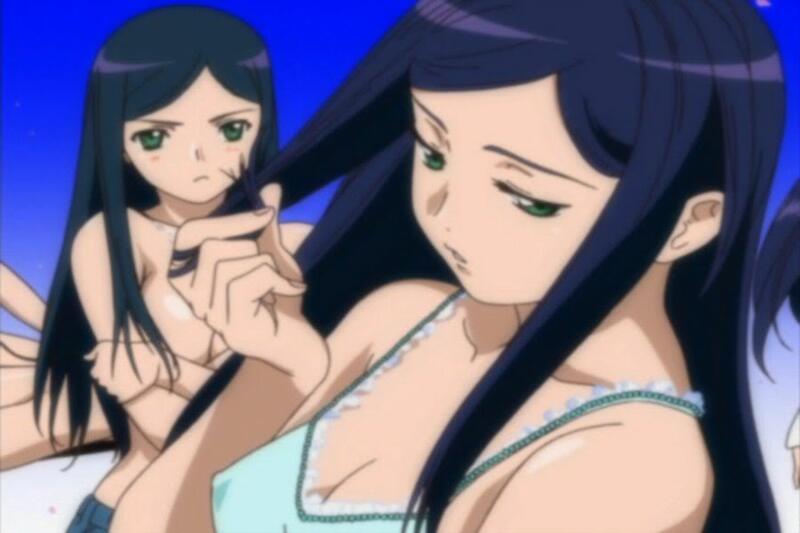 Natsuki and Nao become the first HiMEs to fight each other in episode 18. In episode 20, Natsuki learns from John Smith that her mother actually attempted to sell her to the Searrs Foundation, rather than attempting to protect her. This sends Natsuki into depression, preventing her from summoning her Element or Child and allowing her to be caught by Nao. Natsuki is saved by Shizuru and later finds out that Shizuru is actually in love with her. Surprised, Natsuki rejects her in episode 23, causing Shizuru to go insane. Natsuki later confronts Shizuru in an emotional battle in episode 25, that end's with Natsuki kissing Shizuru, and telling her she can't have the feeling that Shizuru wished she had but was happy that Shizuru loved her. She then orders Duran to fire, which results with their deaths. They are later revived in episode 26 with the other HiME and destroy the HiME Star. The official guidebook suggests that Natsuki's relationship with Shizuru becomes deeper as time goes on. The novel "Natsuki Prelude" (also in the artbooks vol 1, 2) has Natsuki's backstory and states that after sending Takeda a rejection note (thanking him and apologizing for not returning his feelings), she told herself that there was someone else whose feelings she wanted to accept (Shizuru's). (This took place following the conversation with Sakomizu-sensei, on the cliff she was standing on in episode 25). 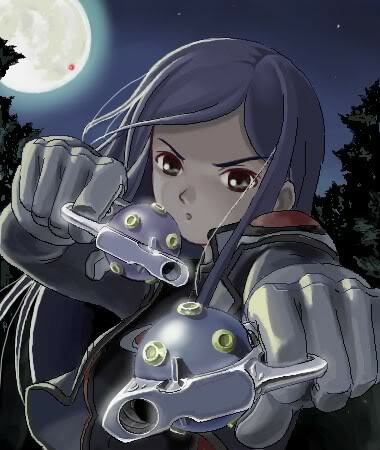 Natsuki's Elements are a pair of small pistols, with the spheres on the pistols providing it with unlimited ammunition. She also displays knowledge of hand-to-hand fighting techniques.Natsuki's HiME mark is located on her lower left back, an area said to be governed by Leo, her zodiac sign. Natsuki's Child is Duran, a silver wolflike creature named after her deceased pet dog. It has a pair of cannons on its back, and in its hind legs are several different types of projectiles: Silver Cartridges create icicles, Chrome Cartridges are conventional explosive charges, and Flash Cartridges produce a blinding light. Duran is also capable of close-combat fighting, and it can transform into a hoverbike that Natsuki can ride. Natsuki's most important person is Shizuru, but the former does not realize this until fairly late in the series; the latter even later. 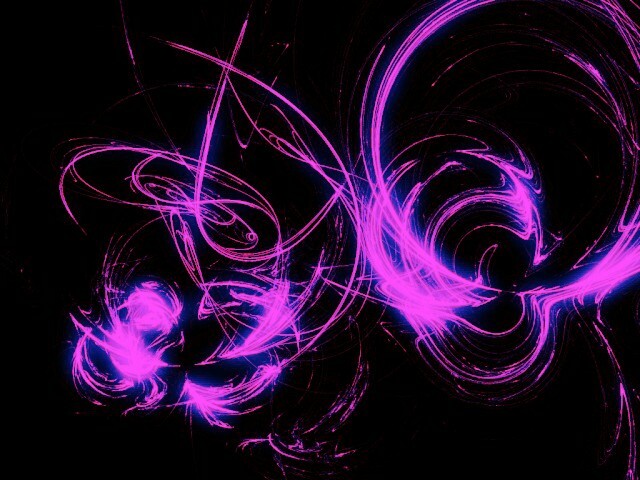 "Duran" as explained in Natsuki's Prelude, comes from her dog who died.